Since so many of us are looking to cut costs in our home schooling journey, Classical Conversations is happy to announce a limited time sale. It’s a BOGO! Buy one Prescripts book, get another one free. Buy one set of Math Flash Cards, get another one free! Classical Conversations is providing this savings as a thank you to their own program members and to the extended homeschooling community. 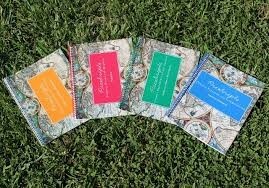 As you are making plans for next year's curriculum, please visit http://www.classicalconversationsbooks.com/ and enter the Sales Code “BOGO1015” to take advantage of this fantastic offer. 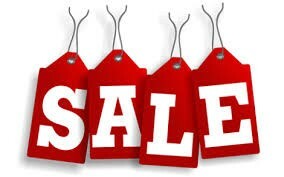 This sale is open to the public. Invite your friends to take advantage of this offer. 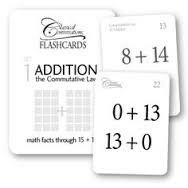 Addition (Commutative Law)This set of 136 addition facts with addends from 0 to 15 is the latest tool in the memory work box from Classical Conversations. The set contains 68 cards, with a different fact and its commutative reciprocal stated on each side of the card. The answers are on the top right corner of the reverse side of the card from the fact. Cards are 2.75” x 3.75,” laminated, with rounded corners, contained in a sturdy, reusable card box. Multiplication (Commutative Law)This set of 136 multiplication facts with factors from 0 to 15 is the latest tool in the memory work box from Classical Conversations. The set contains 68 cards, with a different fact and its commutative reciprocal stated on each side of the card. The answers are on the top right corner of the reverse side of the card from the fact. Cards are 2.75” x 3.75,” laminated, with rounded corners, contained in a sturdy, reusable card box.